← What is this, boot camp? that is a great mail box!! Have a awesome day! Is there some sort of mailbox competition happening on this stretch of turf? Also, is that a key hanging down on this one? If so, I wonder why. 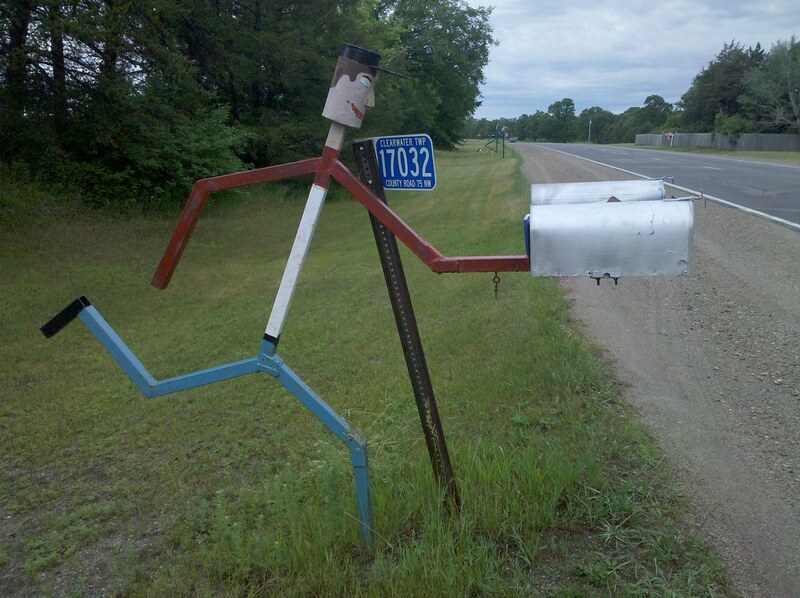 These mailbox photos are a hoot. That a sweet looking mailbox! I saw those 2 when I was looking for ya, Matt. They both certainly are creative. It was great meeting you and talking with you today. Good luck on your journey! 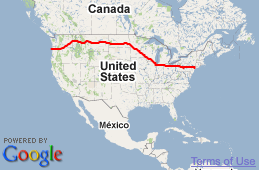 I like what looks like a nice wide mail truck lane on the side of the roadway where the boxes stick out too. Looks much safer that way for the mail man/lady to deliver the mail. And the box goes without saying. It’s awesome! The back one is this guy’s female counterpart. I love them! So far, for me – this is the most awesome mailbox holder yet! I’ve seen a lot of unique mailbox “art” in rural Alabama – but this one takes the cake! Still trying to catch up with you Matt.